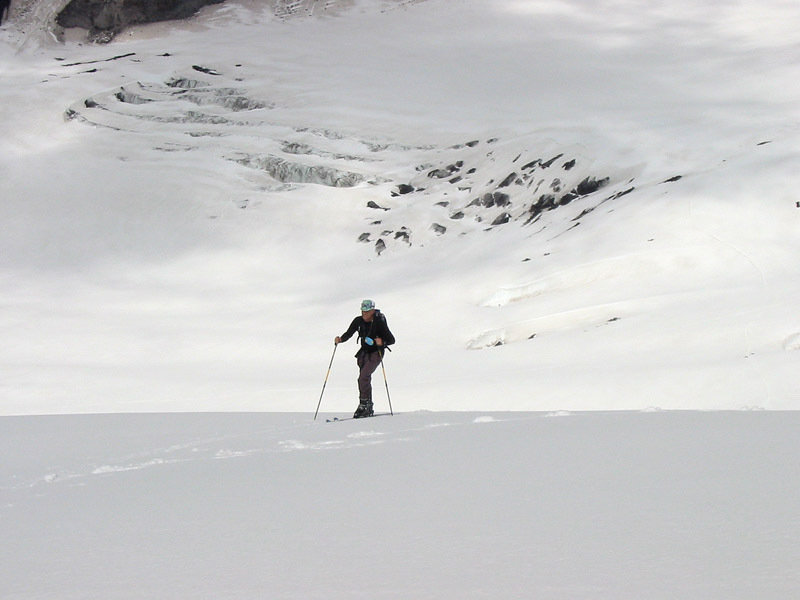 O'Brien stands tall against the Nisqually Glacier . . .
Seattle, 5:00 AM, pouring rain. 6:00 AM, still raining. Paradise parking lot, 9:00 AM, light rain and heavy fog . 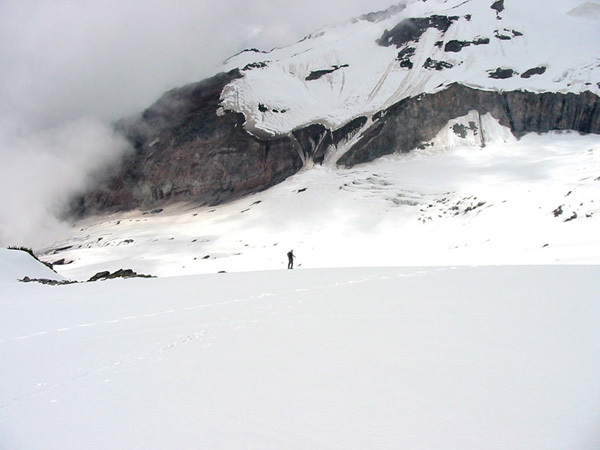 . . this was a trip that was almost a no-go, but somehow Mike and I made it to foot of Rainier on June 9, and started the long skin toward Camp Muir. At an elevation of around 6,500 ft. the fog cover abruptly broke and turned to brilliant blue skies, and the surprise turnabout in weather prompted some gaper-ish mistakes on our part, with me forgetting to sunscreen up and O'Brien leaving his sunglasses in the car resulting in partial sun blindness. 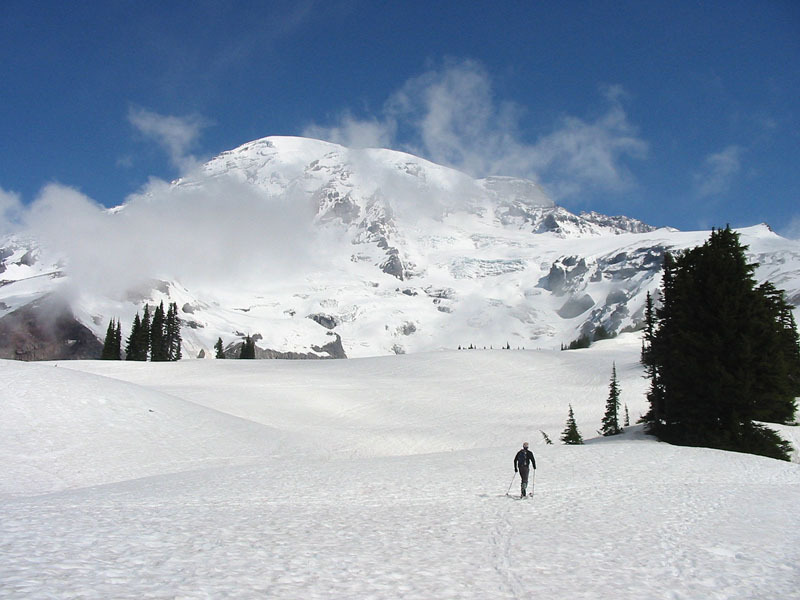 A long, long slog up to Camp Muir at 10,188 and a relaxing ski down through the sun baked corn . . . a couple of cold ESB's at the Glacier Lounge, and a Red Bull to keep the eyes open on the drive home. 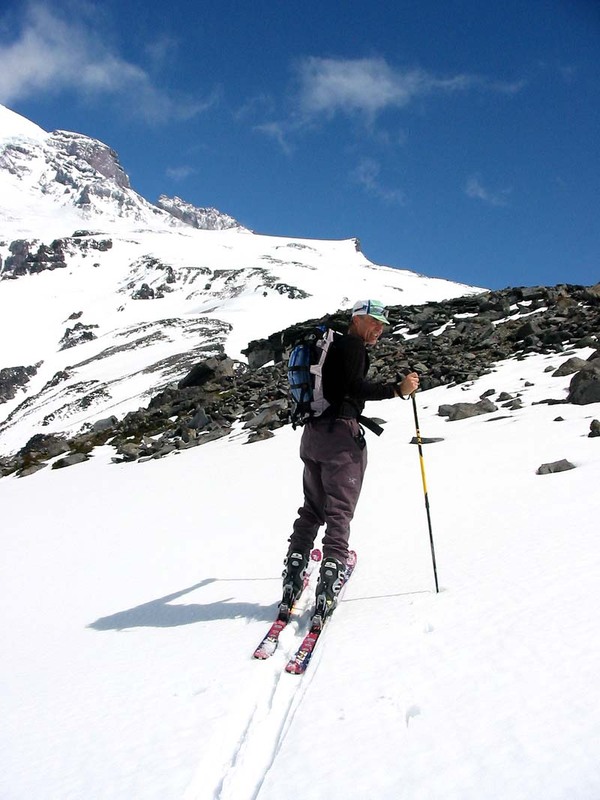 Is there any better place to be skiing on volcanoes in the summer?